Fudge Brownie pizza or brownie pie whatever you choose to call it divine. 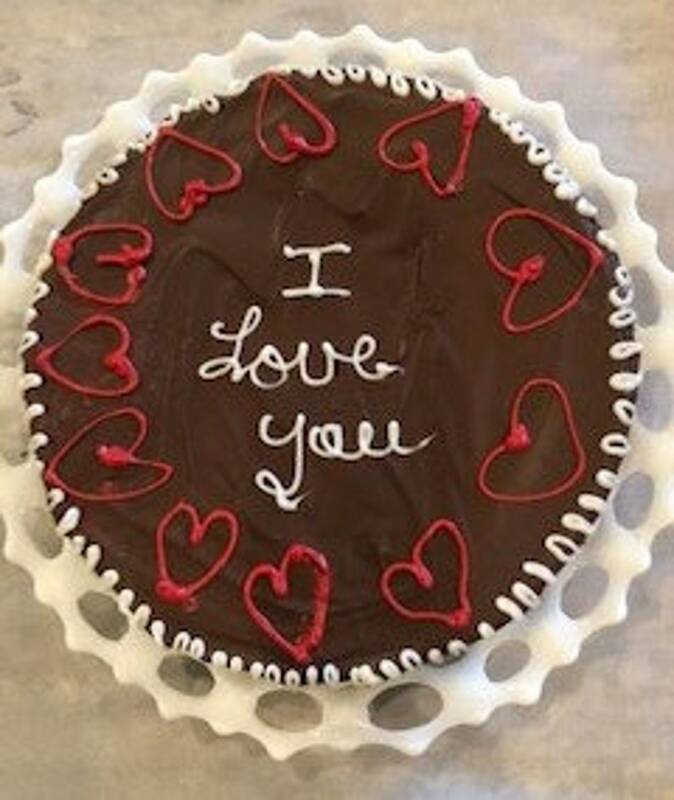 Send them the perfect I love you surprise . Enough for them to enjoy plus plenty to share- not that they will want too. This makes the perfect pick me up or brighten the day gift. Can personalize with receipts name, just leave it in notes. 9 inch round moist fudge brownie makes 8/10 generous pieces when cut. Comes uncut on a cake board sealed in cello. The taste sensation can be topped with a variety of flavors and all high on the cravablity scale. See variation to choose other flavors. Perfect for a Make their day surprise, student away at college, office birthday, a pick me up, a corporate thank you, or just because you know they will enjoy every bite.